I happened to mention to my 93 year Grandma on the phone the other night that I would like to try crocheting and to my surprise, a lovely little package arrived a couple of days later ! She sent me a fabulous book, quite a modern one too which is great, a crochet hook and some yarn to get me started ! How sweet is that ! She even started a flower, which I love, because how precious that I can finish it off and its something we both made. Anyway, so I am a complete beginner and will be looking for all the help and inspiration I can find ! Please please let me know if you have any tips ! 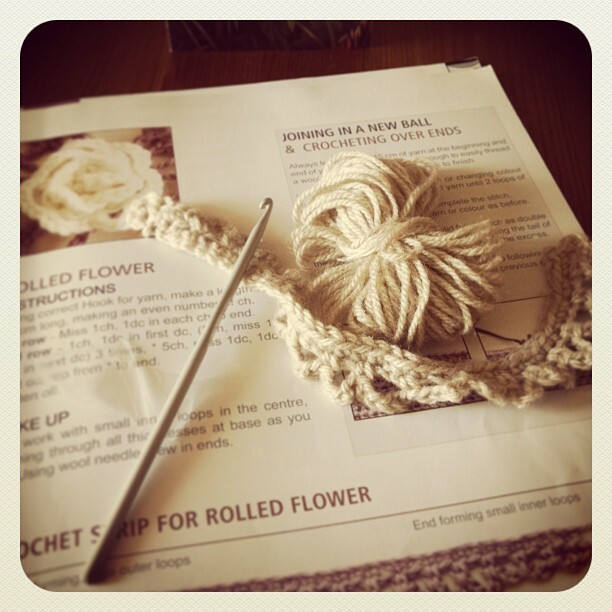 I am really looking forward to giving it a go and can't wait to make lots of lovely little flowers and maybe some babies booties !